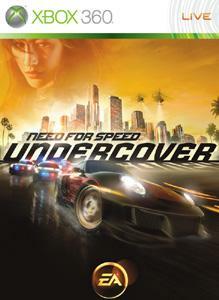 Take your experience to the next level with the Need for Speed Undercover Collector’s Edition. This digital upgrade includes five brand new cars available for use in career mode (2006 Koeniggsigg CCX, 2006 Dodge Challenger Concept, 2007 Porsche Cayman S, 2007 BMW Z4 M, 2007 Mercedes SL 65 AMG) plus twelve new circuit, sprint and checkpoint track configurations. Also included are specially tuned versions of ten existing cars which are available in quick race & online modes, plus 35 exclusive vinyls for adding a unique visual style to any of your cars. Visit needforspeed.com for screenshots and more details. There are no refunds for this item. For more information, see www.xbox.com/live/accounts.